Give me a break. Give me a break. Break me off a piece of that…Fancy Feast? Well that’s it, folks; Sunday morning I ran a couple of easy treadmill miles, and now it’s break time. Rest. Recovery. Off-season. Whatever you want to call it, I’m not running for 21 days (well, less now). Yipes! So how did I get here, and why? Well it all started over the summer. I read an old runner’s world article about taking a break (check it out), and at the time it sounded BRILLIANT! 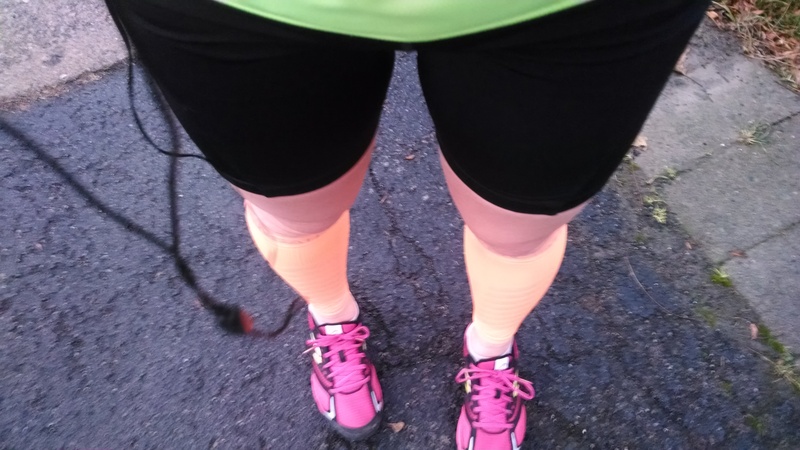 I was in the middle of marathon training and my legs were super tired. I couldn’t get the article out of my head. So I did a little research and found a few more articles (here, here, and here). I did some thinking, and realized I hadn’t taken a break from running (at least not longer than a week after a tough race) in years. And when I had done it last, I was injured. I have never taken a “self-induced” running break since I started running in 2006. The idea of giving my muscles, bones, etc. a chance to “bounce back” was intriguing. I let the idea sit in the back of my head for months with the intention of starting my off-season after the holiday running streak. And, even though it’s not exactly exciting to think of giving up running for 3 weeks, I was still interested in giving it a try. I wavered a bit as the date of my last run got closer, but after reading about a flurry of injuries on the blogs, I decided to commit to it. It also didn’t hurt that I just finished up a particularly (mentally) exhausting holiday run streak. So, injury prevention and increased motivation…win and win! Now, the article says you can run during the break. In fact, two of the articles say you can run during your break. Also, they vary by how long the break should be. I decided to go with 3 weeks and no running at all for my first shot at an off season. These legs deserve a rest. So, what will I be doing? Well, so far this week…not a darn thing! Ha! Ideally, I’d be doing the bike 3 times a week, and trying out yoga, and stretching and foam rolling daily. I’ve worn compression socks twice. That counts, right? What can I say, it’s been a busy week, and also, I’m lazy. And I don’t like any exercises except running. I probably should work on this attitude. Another thing I’ll be doing is coming up with an awesome training plan for when I’m back at it! I’ll be doing an 80/20 running plan for the 5k. Maybe I’ll also look into some races. That’s always fun and motivating! Now, I’m off to go foam roll…or go to bed. Have you ever taken a break on purpose? ← Not Another Resolution Post! Aaaand now the Kit Kat theme song is stuck in my head, ha! Good luck with your break. I hope it brings you lots of increased motivation! Kit Kat did a brilliant job with marketing… I think of their jingle every time I say the word break. If I was a Kit Kat fan, I’m sure I would have bought one shortly after writing this post. BEST TITLE EVER! That’s one of my favorite episodes! Anyways, good luck with the break! I feel like I take too many little breaks…gotta get it together over here. I bet you’re going to be dying for a run by the time your break is over! Yeah that was a good episode. My title kind of made me want to watch the whole series again! I’m thinking a break is in my very near future from running 😦 Even though this is the year to train for a full marathon I need to take a step back and get healthy again. I’ve pulled my hamstring again and off to physio…so a break is needed! And now I want a Kit Kat! Oh no! Sorry to hear about your hamstring bothering you again. Good luck at physio! I’ve been the same way, so I was curious about this. I haven’t heard much about planned breaks from other runners so I don’t really know whether this will make any difference. It would probably be better if I would do more cross training, but I’m a tad lazy when it comes to that.